family in 1490 when the tower was built. Cunningham of Glengarnock castle was the holder of the Barony of that name, and his was a cadet branch of Glencairn. 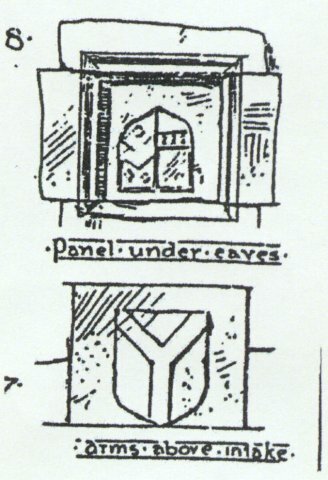 The illustration on the right is taken from Dobies book, and shows the panel under the eaves in its upside-down position. 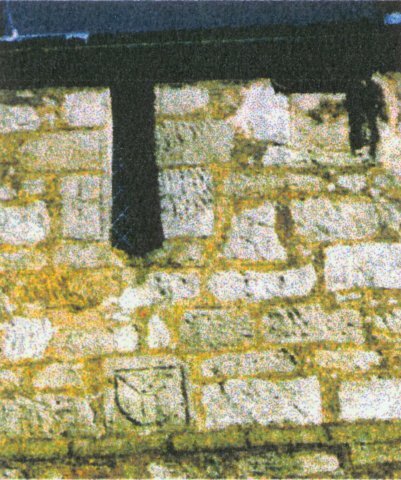 The third external Coat of Arms is on the gable end of the Cunningham Aisle above the windows. It is still in quite good condition and can be easily read. 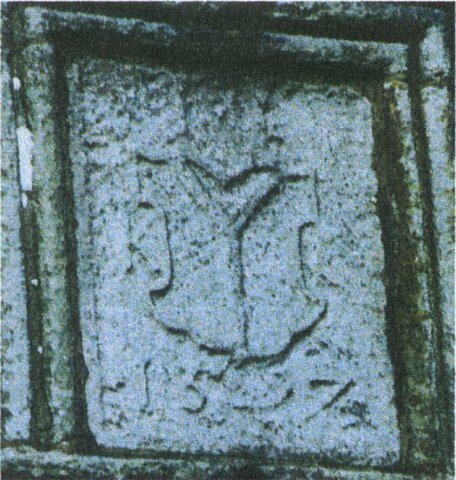 The undifferenced Arms of Glencairn can be seen on an elaborate shield, with the date of the erection of the Aisle, 1597, thirty seven years after the Reformation. 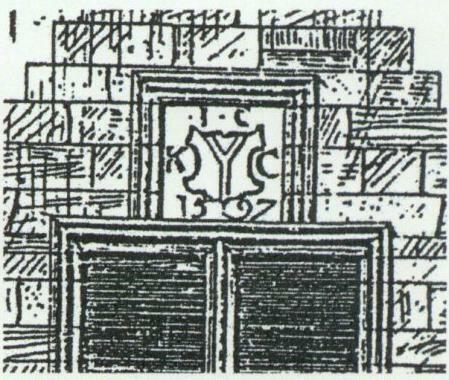 In addition to the shield are the initials of James Cunningham, I.C. and of his wife Catherine, K.C. the second daughter of William, seventh Earl of Glencairn.